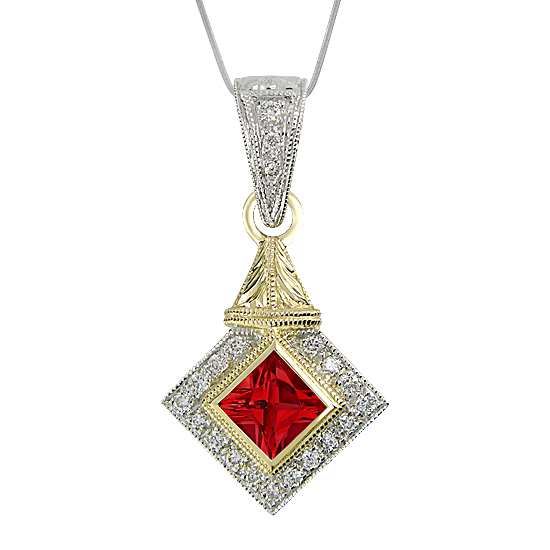 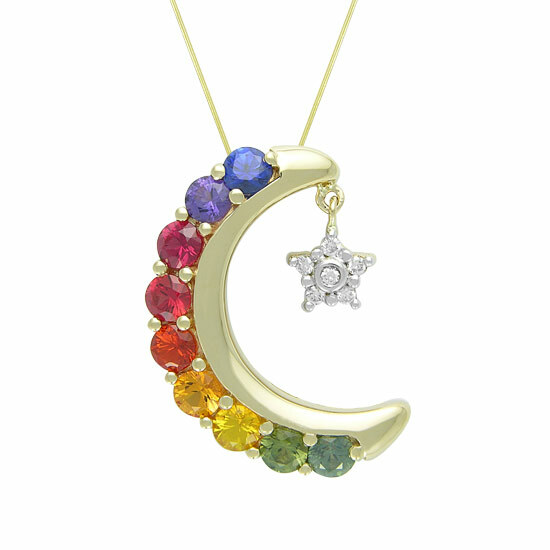 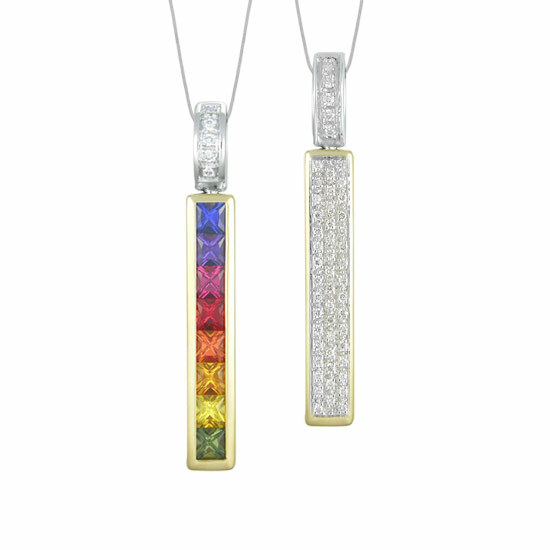 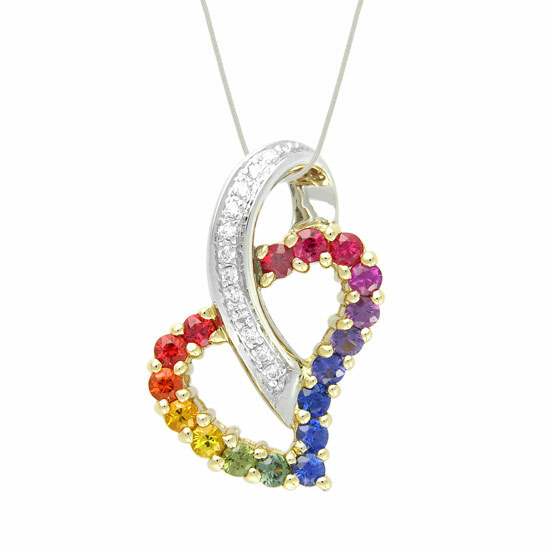 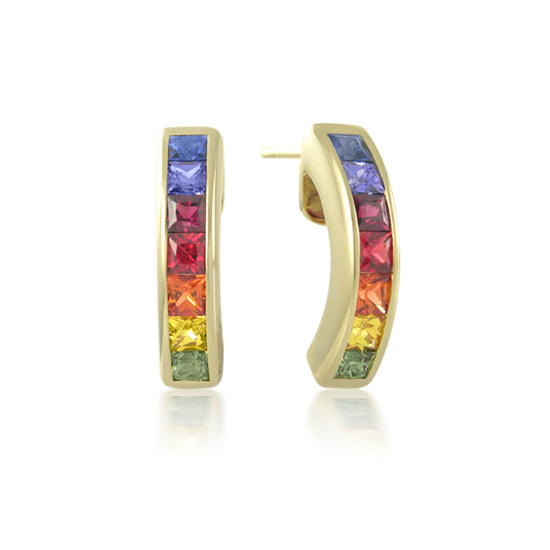 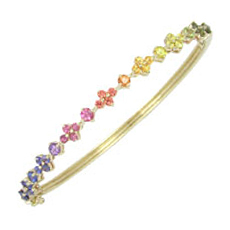 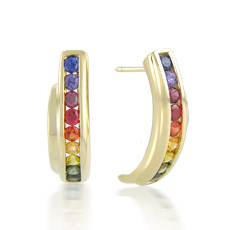 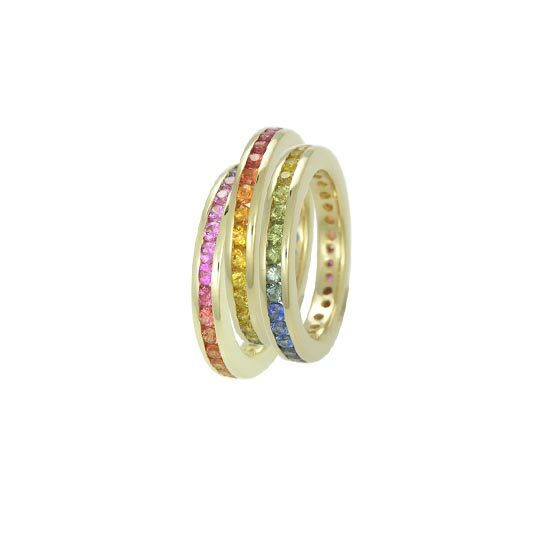 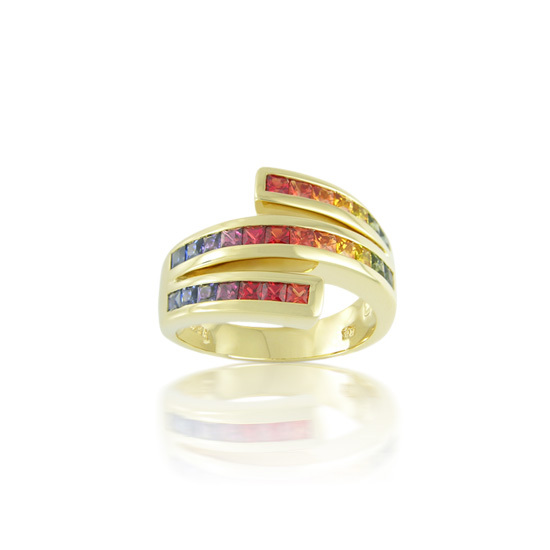 The rainbow sapphire collection (tm) is trend-setting precious jewelry designed for the woman with a passion for color. 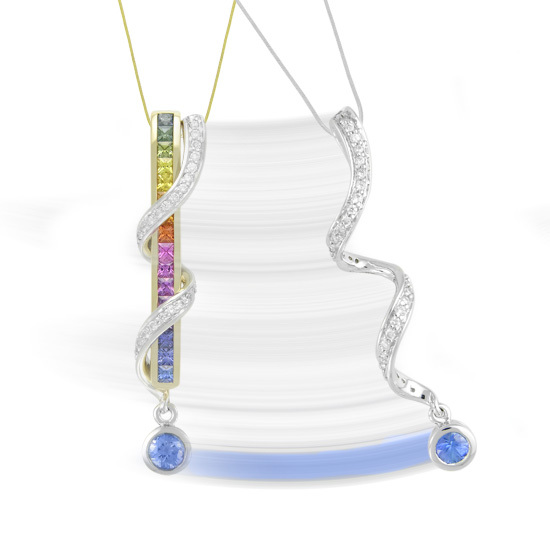 Each one of these genuine sapphires is invidually selected for clarity and hue, then precision-cut for size and brilliance. 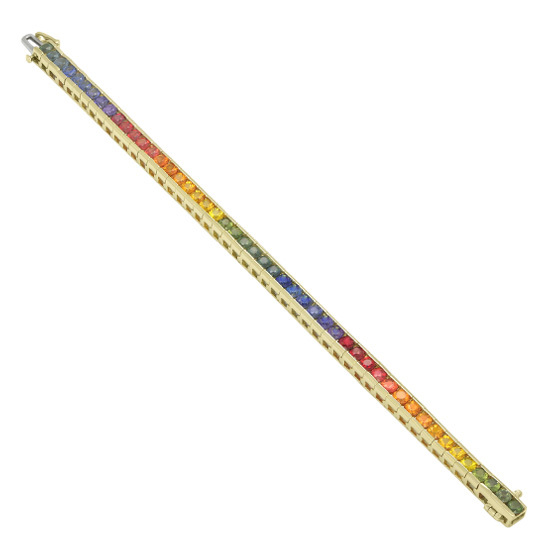 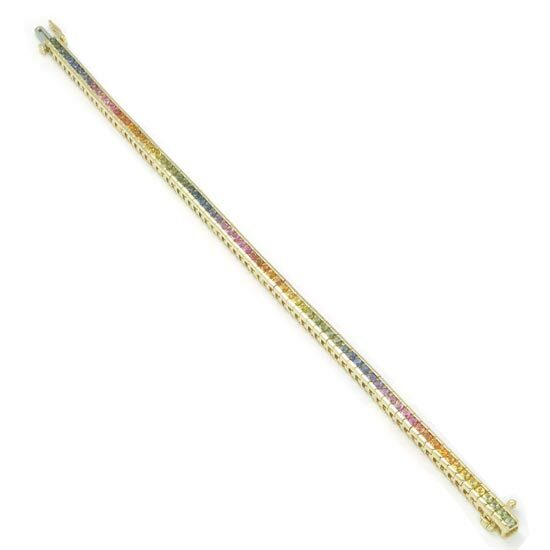 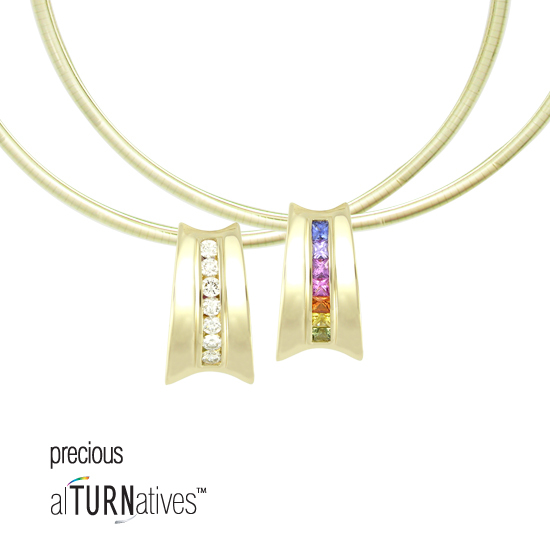 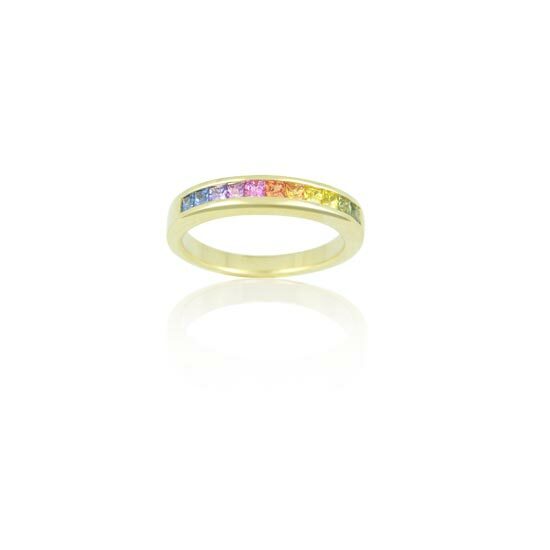 The gems are then carefully graded into the subtle blend of a rainbow. 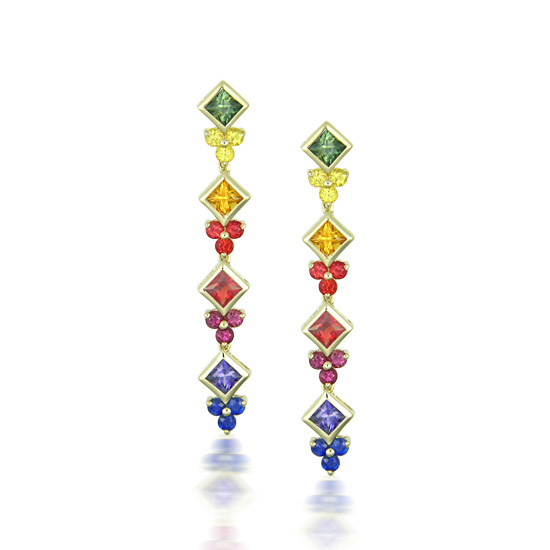 Crafted in rich fourteen carat gold, the jewelry is available in Pastel or Intense shades of color. 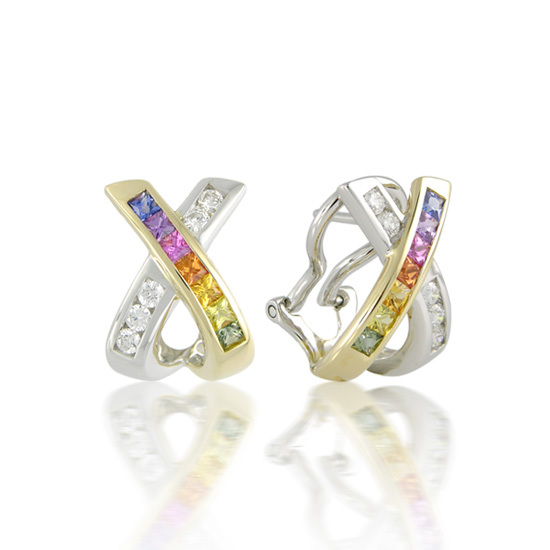 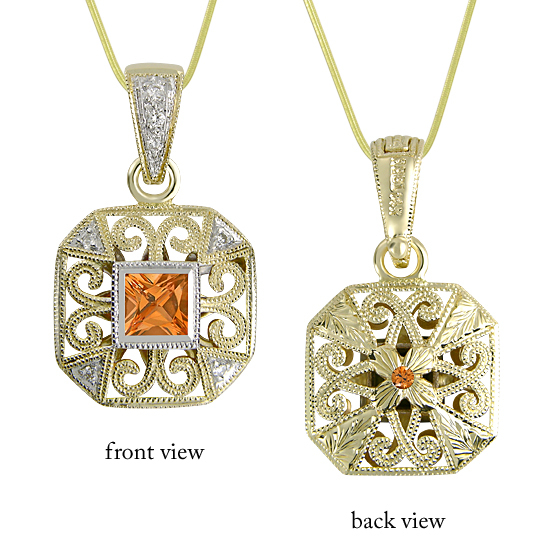 These items are also available in 18kt, white gold and platinum. 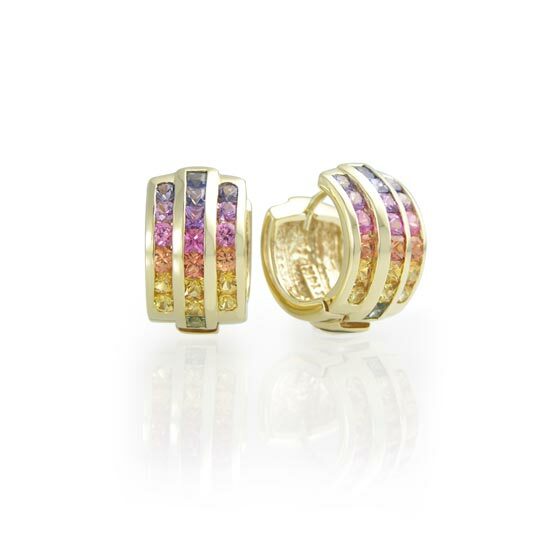 There are over 400 unique pieces in the Pastel and the Intense product lines. 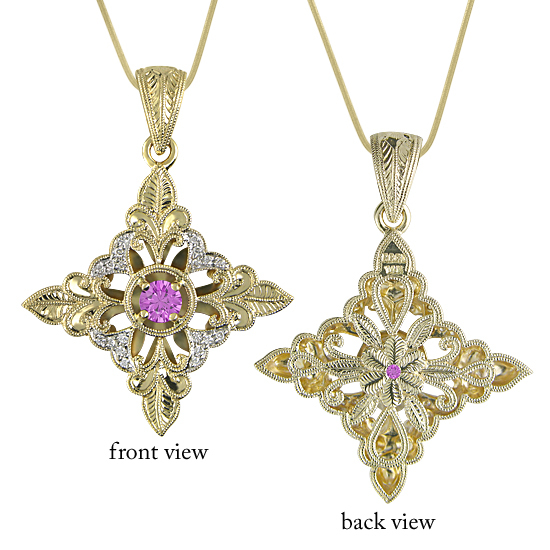 We have the 21 items shown above in stock. 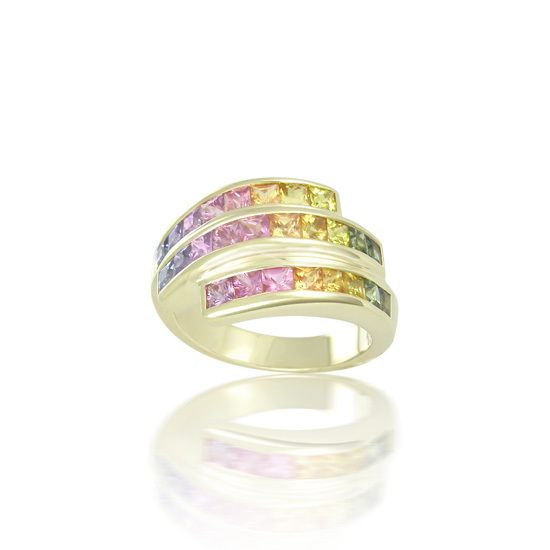 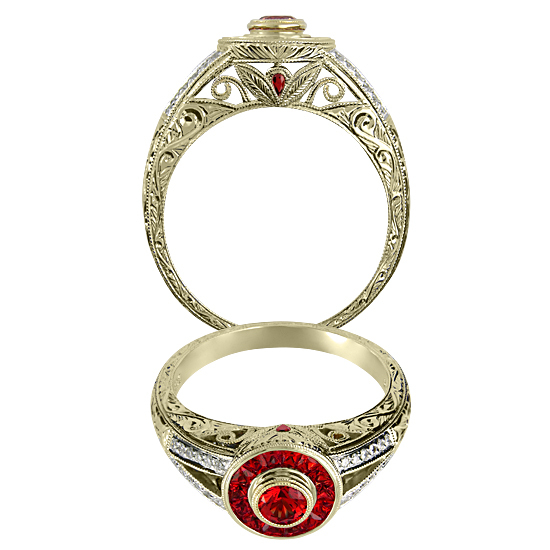 Copyright 2009 Aljan Jewelers, Ltd.. All rights reserved.